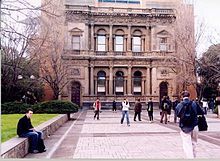 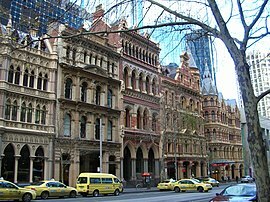 Collins Street is a major street in the centre of Melbourne, Victoria in Australia. 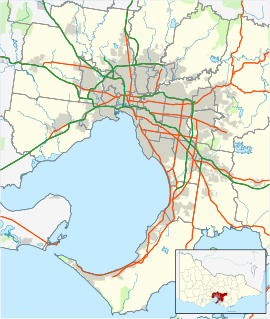 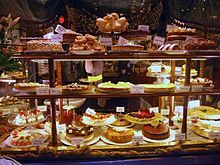 It was laid out in the first survey of Melbourne, the original 1837 Hoddle Grid, and soon became the most desired address in the city. 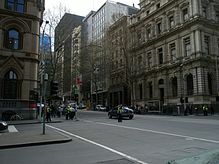 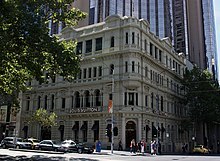 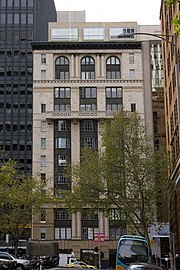 Collins Street was named after Lieutenant-Governor of Tasmania (then Van Diemen's Land) David Collins who led a group of settlers in establishing a short-lived settlement at Sorrento in 1803.